SSC stands for Staff Selection Commission. If you are preparing for any SSC exam, you must know about the dates of all exams which are scheduled to be held in year 2014. 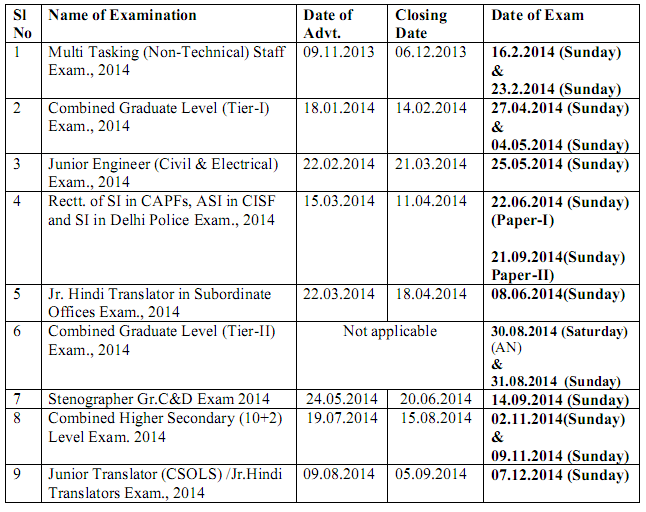 This post contains the list of "Name of Examination","Date of Adv","Closing Date" and "Date of Examination".